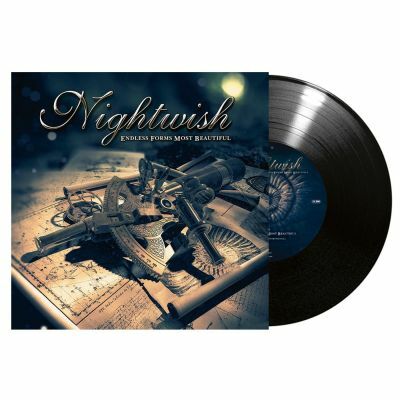 NIGHTWISH - ENDLESS FORMS MOST BEAUTIFUL VINYL (10” LP) | Online Shop | Wizard LTD. Album: "ENDLESS FORMS MOST BEAUTIFUL VINYL (10” LP)"
Finland-based symphonic metal masters NIGHTWISH have reached fantastic chart positions for their new album »Endless Forms Most Beautiful« in more than 20 countries, entered the world charts on #8, including the pole positions in Finland and Czech Republic. Today, NIGHTWISH announce their 2nd single, for the title-track 'Endless Forms Most Beautiful'. It will be available after May 8th as a limited edition MCD, 10“ Vinyl and as a download.